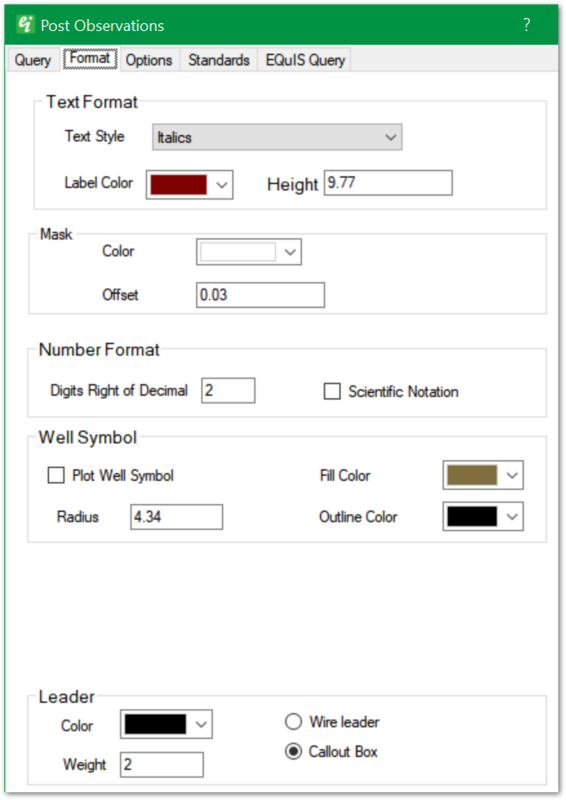 Posted data values represent one of the simplest ways of displaying data. Queries are applied and the type of data (average, minimum, maximum, first, or last) to be posted is selected. 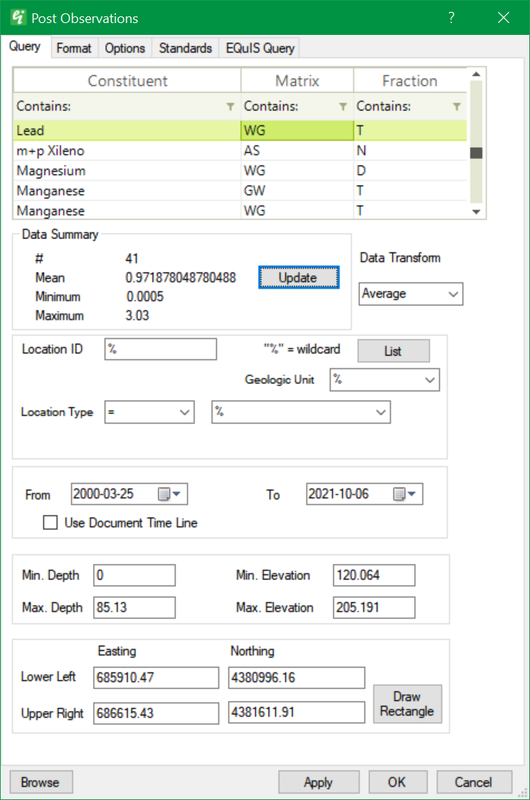 The value is then posted with a leader pointing to the location (in plan view) or the center of the screen interval (in 3D view). 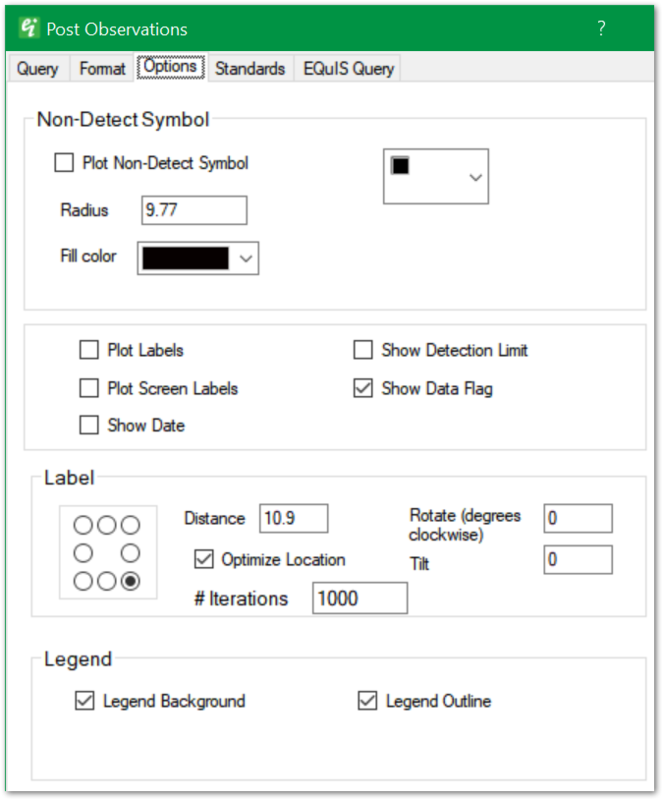 Click either Plot> 2D Data or Plot> 3D Data from the main menu and select Post. The Locations dialog box opens. 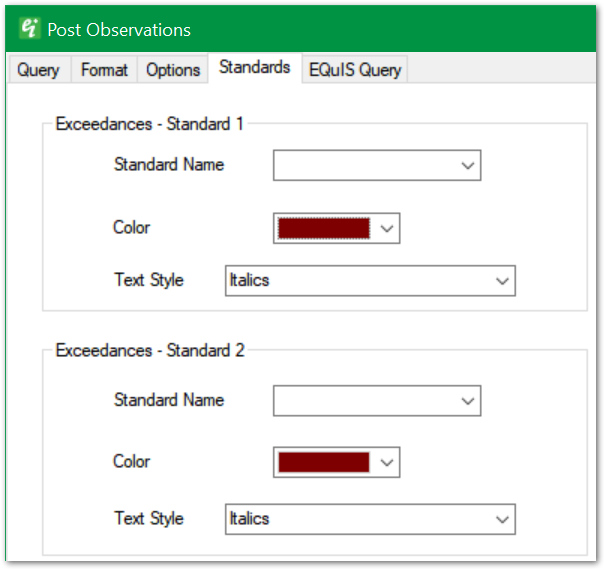 Modify the properties of the locations plot on the Query tab, Format tab, Options tab, Standards tab, and EQuIS Query tab as desired. Select the Apply button to see changes before saving. Click the OK button to save changes.